Coach Rice's defenders are speaking unintentional volumes about power and powerlessness in the sports world. 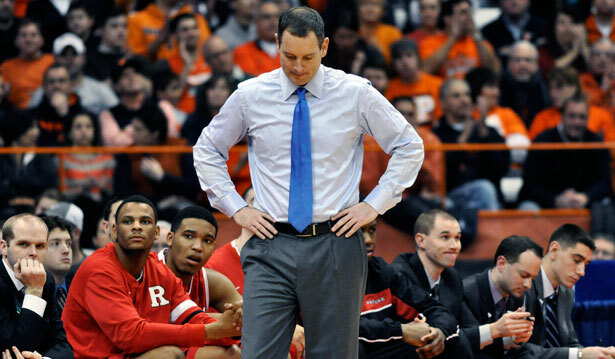 The firing of Rutgers basketball coach Mike Rice created a media frenzy that extended far beyond the sports page. Those who are now choosing to rush to his defense are unintentionally telling an even more important story. This story is about power and powerlessness. It's about bullies and the bullied. And, if we look hard enough, it's about a cultural battle for the soul of sports. As we witnessed on videotape, Coach Rice called his players "faggots", "cunts," "fairies" and "pussies." He meted out physical abuse as well: kicking, pushing and throwing balls at the teenagers under his charge. This glimpse behind the curtain of NCAA athletics caused everyone from LeBron James to New Jersey Governor Chris Christie to physically recoil. Well, almost everyone. For Fox News Host Sean Hannity, Mike Rice's firing constituted something of a national tragedy. “I kind of like old-fashioned discipline," he said. 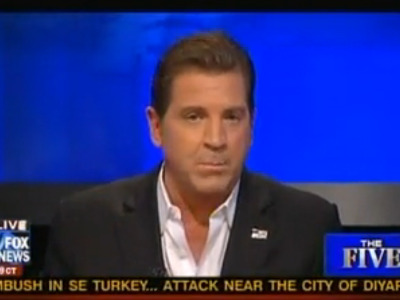 "Maybe we need a little more discipline in society and maybe we don’t have to be a bunch of wimps for the rest of our lives… My father hit me with a belt and I turned out okay!” Eric Bolling, the guy on Fox News who dresses like he’s on his way to a nightclub in 1996, was even more horrified. He described the firing as symbolic of "the wussification of America" as well as a symbol of "our culture in freefall." Their defense of Rice is actually quite helpful. Often we use phrases like "jock culture" or "bullying culture" as if culture is like some kind of mysterious fog obstructing our collective vision. But "culture" is not like the weather (cloudy with a 10 percent chance of misogyny). It is directly tied to politics, organization and powerful people with a vested interest in oppression. For the mouthpieces at Fox News and those pulling their strings, they defend Coach Mike Rice because they’re in a panic that there is a culture war afoot and, at best, they resemble Custer. In this war, they see every cultural sphere—Hollywood, music, politics—as a battleground but perhaps none is either as important or slipping through their grasp quite like sports. The sports world—particularly men's sports—is the place where homophobia has historically found safe harbor. But in the last several years, there has been a decisive shift. Jocks have been on the front lines building organizations like You Can Play and Athlete Ally aimed at making the locker room a safe space for their LGBT friends and teammates. Individual pros like Kenneth Faried and Eric Winston have lent their names to activist campaigns. Brenden Ayanbadejo, recently of the Baltimore Ravens, announced this week that he was speaking to four NFL players who may come out of the closet simultaneously before the start of this season. Kobe Bryant—someone caught on camera several years ago dropping “the other f bomb” is now admonishing his Twitter followers for anti-gay slurs. The hysteria of Hannity and his ilk in defense of Coach Rice is quite simple: they’re losing and they know it. Less simple to grasp is the second group of Coach Rice’s defenders: some of his former players. Junior Rutgers forward Wally Judge said during a telephone interview to the AP, "I have grown from the moment I stepped in these doors, not only as a player, but also as a person because of how [Coach Rice] has treated me." Another player, sophomore forward Austin Johnson said, "[Coach Rice] did a lot for us off the court, academically, socially…. I am not saying what he did wasn't wrong, because I do believe it was wrong. But it is also tough because it was a highlight reel of his worst moments." University of Pittburgh guard Travon Woodall also defended Rice, who worked at Pitt as an assistant, but in the process said he was "not the only coach to put his hands on a player, or talk the way he did." In other words, what Coach Rice said and did wasn’t a big deal because this kind of abusive behavior is a normalized part of high-level youth sports. I don’t doubt the sincerity of these players at all. I do think their synchronicity with the Hannity and Bolling crowd speaks volumes about how bullies and the bullied can define their lives by the same logic and come to same rationalization: it’s necessary. We recognize this behavior in battered women that defend their husbands. We are loath to recognize it in youth sports although the similarities are glaring. These are young men raised in a highly lucrative prep-to-pros-pipeline where authority is never questioned, abuse is expected and corruption is inevitable. The fact that this relationship of power and powerlessness involves predominantly white coaches and predominantly black players is about as coincidental of race as who sits where in a prison cafeteria. Yes, there are many black coaches and white players as well, but unless you have a coach who consciously goes against the grain, the power dynamics become replicated no matter who is doing the yelling and who is gritting their teeth. It doesn't have to be this way. There are transformational, teacherly coaches out there who work wonders with young people. Many are loud and tough as hell without being abusive, anti-gay, misogynistic bigots. These transformational coaches who don’t take advantage of structural inequities and are actually in it for the kids are heroes, but they need to do more. They can no longer be silent. They need to betray the so-called “coaching fraternity” and start reclaiming their profession. They should see the dismissal of Mike Rice as a kind of validation. Yes, he doesn’t get fired if that video doesn’t get leaked, but it says something very positive that the vast majority of people were repulsed by the “old school” coaching on display. It’s time for the leaders of the new school to make themselves heard. This is about a battle for the soul of sports and it’s one we cannot afford to lose. "ICE is loose in the streets!" riffs La Santa Cecilia in their new track on undocumented America. Read Aura Bogado's analysis.